Man, I have a lot of pictures to share, how did this get to be a 4 part posting? LOL! I hope you are enjoying the fun we had, today concludes the Open House postings. 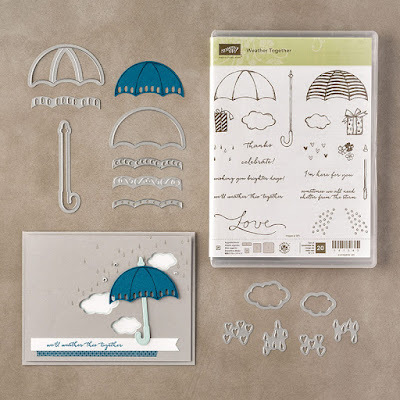 Starting off with another favorite stamp set, Weather Together. 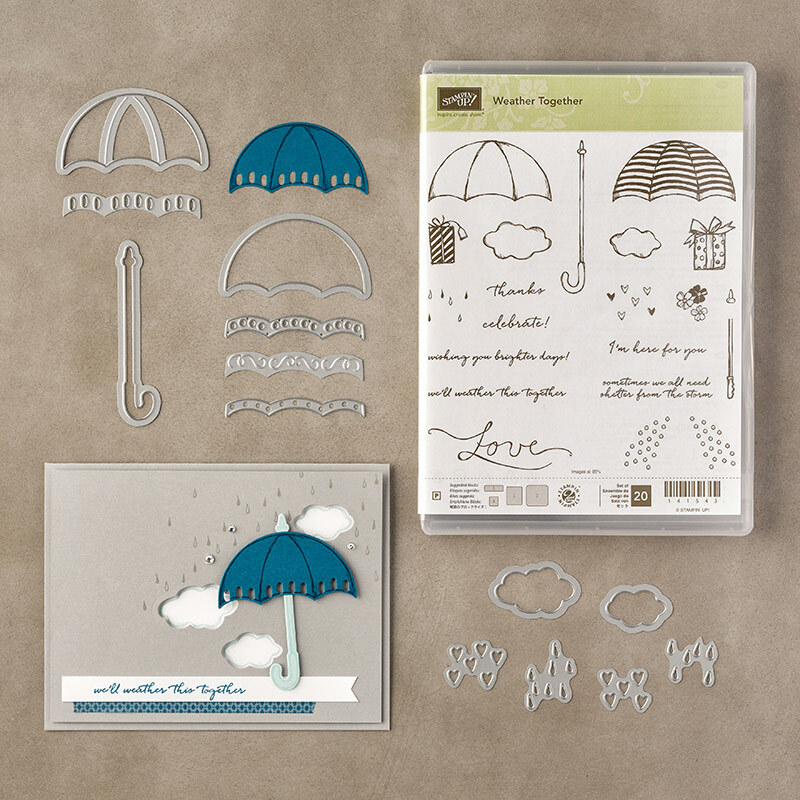 I love cutting out the umbrellas and using them with or without color. I curved this umbrella and secured it with Mini Glue Dots on each end. Then stuffed it with flowers and leaves to make an adorable tag. White umbrellas for the background. My downline Lori Calhoun made these precious Popcorn Boxes. These are tiny, only 3-5/8" tall, fun size but yet not too big that it would cost a fortune to fill a bunch of them for a party. 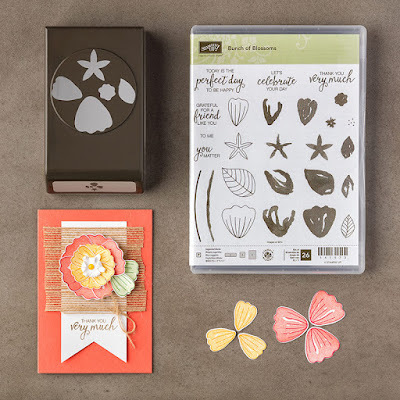 Bunch of Blossoms and the coordinating Blossom Builder Punch. Don't Forget About The Two Awesome Promotions This Month! Get $35 in additional Hostess Rewards with a $350+ order. Becky, I just love your clever umbrella tag! Can you tell which stamp set or sets the flowers and leaves come from? Thank you Becky, what about the larger flowers that are inside the umbrella? Oh, my apologies. I'm thinking those were from the Perfectly Wrapped set and hand cut out.